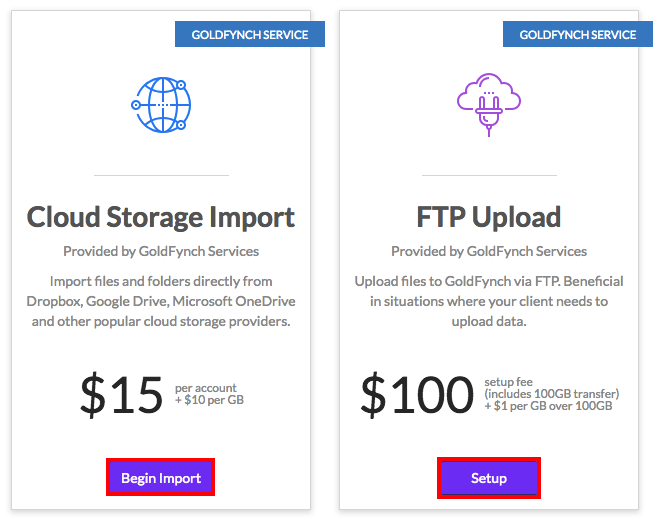 GoldFynch offers several add-on services to users. 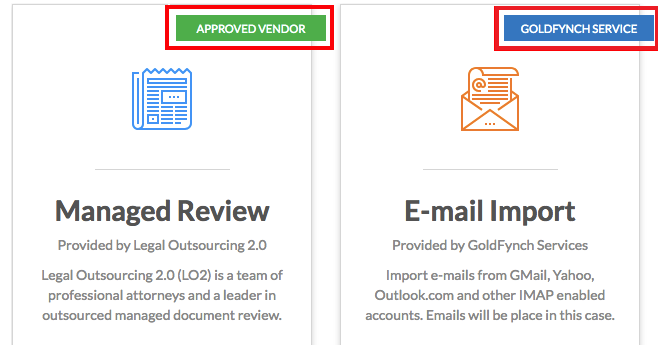 Some are through approved support service providers at a discounted rate, and others are from GoldFynch itself. Learn more about them here. 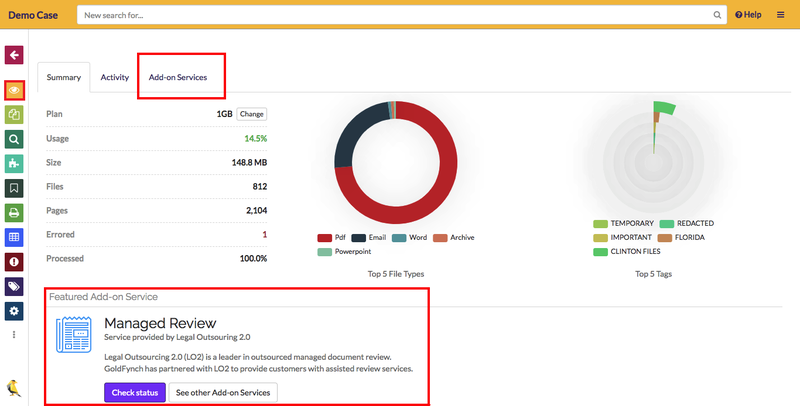 There are a number of add-on services that can be accessed by GoldFynch users through the GoldFynch web app. 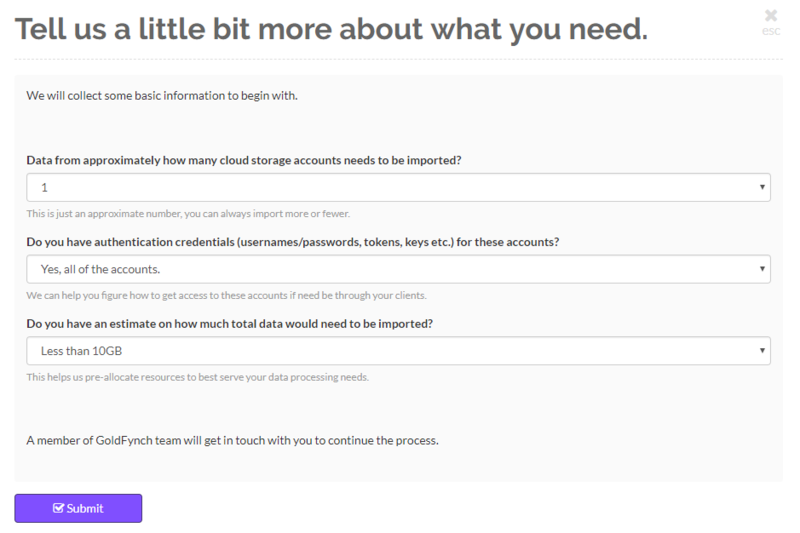 They are useful in specific scenarios, like if you want a large volume of emails from a client’s mail server to be directly uploaded to your GoldFynch case. 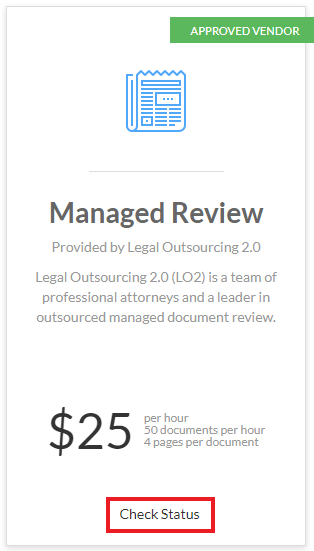 Read on to find out how to initiate a request for these services, as well as find out about the pricing of each service.